This blog is the work of Justin and David Maddox, son and father, who for two decades have researched the descendants of Edward Maddox (ca. 1615-1694), one of the first settlers of the Colonies of Maryland and Virginia – a land speculator, doctor, merchant and Justice of the Peace. Edward’s descendants are innumerable and are now living throughout the country. If your last name is Maddox (or Smallwood, Posey, Ware, Grey, Knight/McKnight, Long, Gaines, Garafano, Key, McCleskey, Holland, Thomas or Novom) there’s a good chance you’re a relation. This blog is intended to provide glimpses into the lives of Edward’s descendants and to attract conversation between the most recent generations. Hopefully you’ll gain something from our obsession hard work. 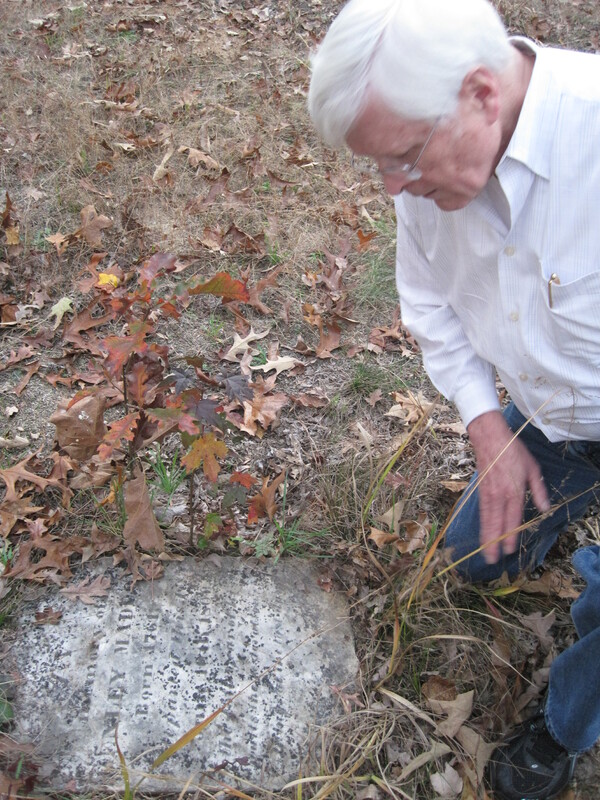 After much searching, David uncovers Henley Maddox’s grave in the Turkey Creek Baptist Church cemetery, Ware Shoals, South Carolina. For those in search of some background material on the Maddox family and its origins in America, below are four excellent books that served as touchstones for our research. Our research supplements theirs by proving Edward’s children and by connecting early generations (after Benjamin II, 1735-1811) to the living generations (at least for our direct paternal line). We’ve stopped short of writing flattering descriptions of ourselves. The Maddox Family of Maryland, with Webster and Related Families, Fredonia Maddox Webster. self-published, 1957. Maddox: A Southern Maryland Family, W.N. Hurley, Jr., Heritage Books, 1994. Nichols-Smallwood-Maddox 1638-1930, Joyce Smelley Odom, self-published, 2006. Great work! Seems like our lines may have crossed before in history – a few times before. Research in my Holland line reveals a strong Webster lineage as well. I found another breakthrough on Ancestry.com with a distant cousin who is related to me in the Streett family. He shares a lineage with you as well in the Maddox/Wheeler/Posey lines. I’ll send a follow-up regarding his page via email. Thank you so much for your insightful reply, David. I’ve checked the sites you’ve provided and it appears that our Edward (d. 1694) is not a match for any of the individuals in the sites, unfortunately. I’ll dig deeper into the data and try to triangulate to known relatives. I really appreciate your response! I just found your site. I have a website on MyHeritage.com. My grandmother was Nellie Williams Maddox before marrying my grandfather, R. G. Roberson. I have the same people that you have on this site in my family tree on MyHeritage. Would enjoy corresponding. Hi Gayle… thanks for your note! I’m glad you found the site. Anything you can add would be appreciated! There is a record of a Cornelius Maddock of Broughton Parish marrying Elizabeth Garmston by license at Myddle Parish Church on Feb 6 1815. Witnesses Mary Garmston, Mary Maddock, and William Maddock. Broughton/Myddle is about 32 miles from Munslow. This Cornelius Maddock was baptised 7 March 1786 at Broughton by Wem, Shropshire by parents Cornelius and Abigail Maddock. …. Elizabeth Howells at Holdgate Shropshire, about 4 miles from Munslow…. Is this worth following up?